In this tutorial, I am going to show you how to copy text from any Android app which doesn’t let you select them. There is no doubt that Android has been perhaps one of the trendy platforms for tablet and mobile however sometimes we believe a lack of features about Android. Evidently, you can find every one of the features and solutions that may help you with unique types of problems. But, we always want more to solve unique problems. By way of example, imagine, you would like to copy such a text which isn’t really selectable. Which means, in case the text isn’t selectable, you cannot copy that. You can’t copy text from several Android Apps just like Facebook and SnapChat because these program doesn’t let you do that. The standard Android provides you the possibility to select or copy text from many apps and websites from long press them, however, copy function doesn’t work on some of the very popular Android applications like Facebook, Twitter, YouTube, Instagram, SnapChat, and much more. Therefore, if you’d like the ability to copy text from any app, we’re here to assist you with that. 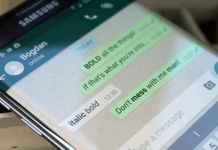 Here’s how you can copy and paste unselectable text on Android. We had previously shared on how to copy text from a protected web page in Google Chrome. You can use follow this procedure to keep the valuable information for the future purpose. But, don’t use it for any illegal activity. Well, without wasting your time let’s come to the point. Universal Copy is a tiny app that works through OCR technology and makes it simple for you to copy text from fields that are disabled by the developers. There are a ton of apps available in Google Play Store which let you copy unselectable text on Android, but there are several reasons you should use Universal Copy app. 1. Most of the clipboard managers apps available as trial versions. To buy the premium one you have to pay $2 to $4. Free version means you’ll face continuous popup ads on your screen which can result in an annoying experience. But, Universal Copy is free to download and use. The best thing is, it doesn’t contain any ads to obstruct the copy/paste experience. 2. Moreover, most of the different programs include a reasonably lengthy process to copy text from restricted apps. That they require you to crop the image as a way to select the text and also wait for OCR. The process of selecting texts from protected apps might take more time in these apps. On the flip side, Universal Copy doesn’t require you to take any screenshots and does a quick OCR to select text, which makes the process pretty easy. 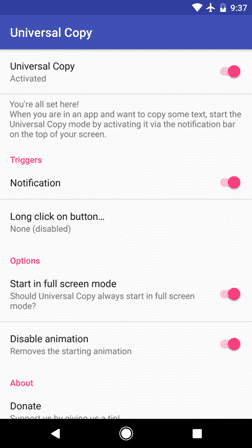 This is extremely simple to use Universal Copy app on your Android phone because it can’t arrive with lots of options or some other complicated feature. This is very easy to utilize this Android app. Follow the below steps to copy any text to clipboard on Android with ease. 6. Next up, tap on the text you want to copy (Selected text turns blue). 7. 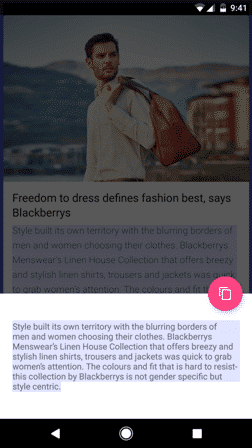 Now, tap on the Pink copy button to copy text to the clipboard. That’s it. 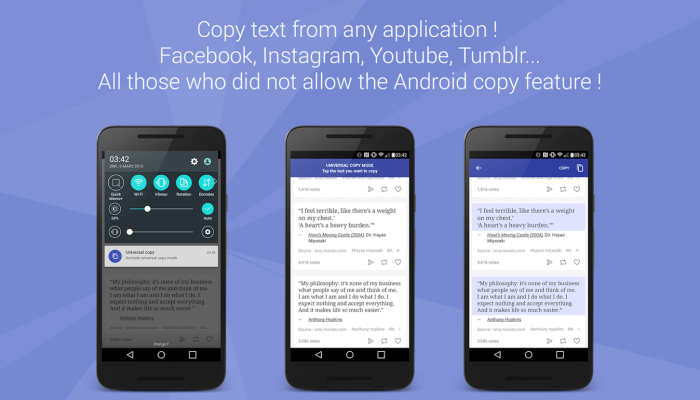 In this way, you can easily copy text from Facebook Android app and like other apps also. Universal Copy is my favorite app to copy protected from any Android app. But, if you want to try some different apps to do the same work, then you can try them. Clip Layer, a Micro Soft Garage Project, may be found on any screen and that means that you can select, copy, and also behave on snippets you worry about in simple collection of taps. After choosing the snippet, copy it into the clipboard, insert it into Wunderlist to contain it accessible across different apparatus, email it, or share it directly from some other different app installed in your own mobile phone. Copy paste any text provided that you’re able to observe it on your own screen! Duplicate text from ANY screen to your clipboard. Then, paste it into any text box. Convert your phone to a cell text scanner. Default long press on to reproduce text on mobile screen does not sometimes work this app helps you to extract text from your mobile screen. Clipper can be just a powerful clipboard manager that automatically saves whatever you backup. 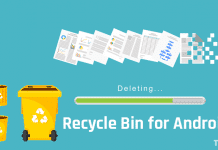 Obtain your clipboard history after and organize clippings in listings. Copy, paste, view, share and edit their contents. Store repetitive parts of text from Clipper and reproduce them once you want to. Take Charge of copy and Paste Together with Clipper! 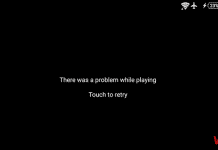 This was the tutorial on how to copy unselectable text from any Android app. 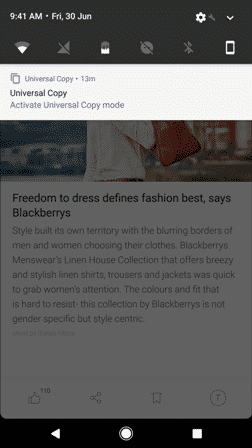 Download the Universal Copy app today to copy text from Android apps, or you can also try its alternatives. If you like this guide, then don’t forget to share with your friends. Most of the Android users try to copy unselected text from popular apps to share or save for the further purpose. Universal Copy is very useful.